Traditionalism in now trendy. At least, it is the topic of an article in what may be the UK's trendiest magazine, Tank (pictured). 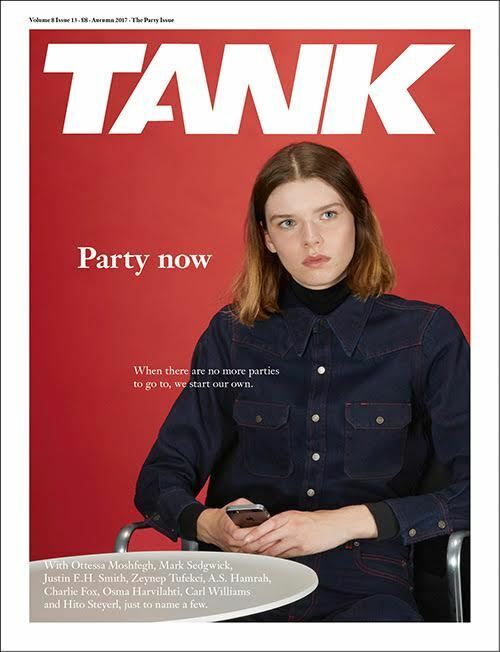 "This autumn, at a time when the world feels at its most divided – its most partisan – we’re throwing our very own Party Issue. While party politics in America are transformed into a school-canteen food fight, here in the UK there has been a resurgence in political party membership. From the history of Notting Hill carnival to the etymological roots of the word “party”; from an LSD library to the rise of Traditionalist philosophy, our contributors include the acclaimed novelist Ottessa Moshfegh, the writers Charlie Fox, Emily Segal and Justin E.H. Smith, and the photographers Osma Harvilahti and Jody Rogac, among many more." Among the "many more" is Mark Sedgwick, with "The ideology of the new paradigm." In the dissertation, Senholt distinguishes three main inspirations: the “Counter-Enlightenment” from Herder onwards, the Conservative Revolution from Spengler onwards, and Traditionalism from Guénon onwards. Even if New Right thinkers sometimes criticize Traditionalism and try to distance themselves from it, its impact still remains clear. For ideas, Senholt stresses especially “metapolitics,” the idea that politics can be changed by changing the way issues are conceived and discussed. For influence, Senholt notes that the New Right is suddenly important and everywhere. This, he thinks, is because circumstances have changed, not because the New Right has. The New Right has actually been saying much the same thing for thirty years, without having much impact. Now, suddenly, issues relating to identity, to migration and globalization, have given it traction. A fine dissertation. The supervisors were Ole Morsing and Mark Sedgwick.